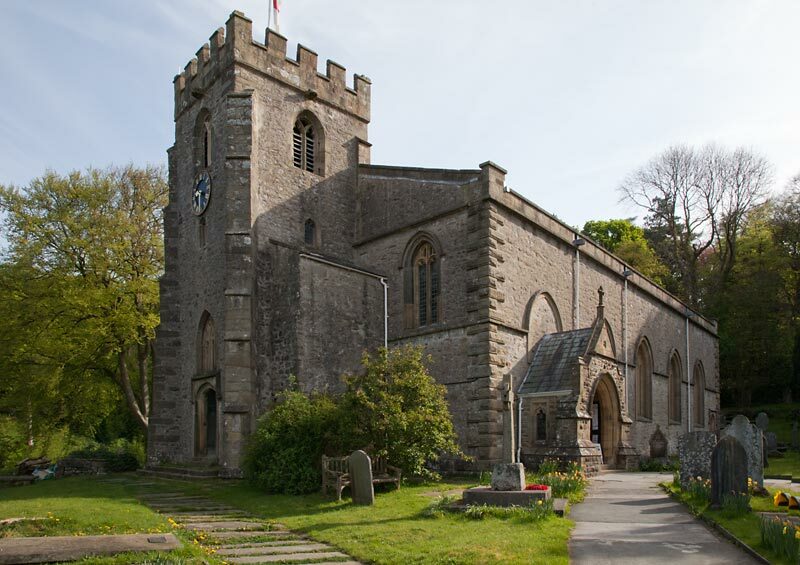 Our route up Ingleborough today starts in the picturesque village of Clapham. 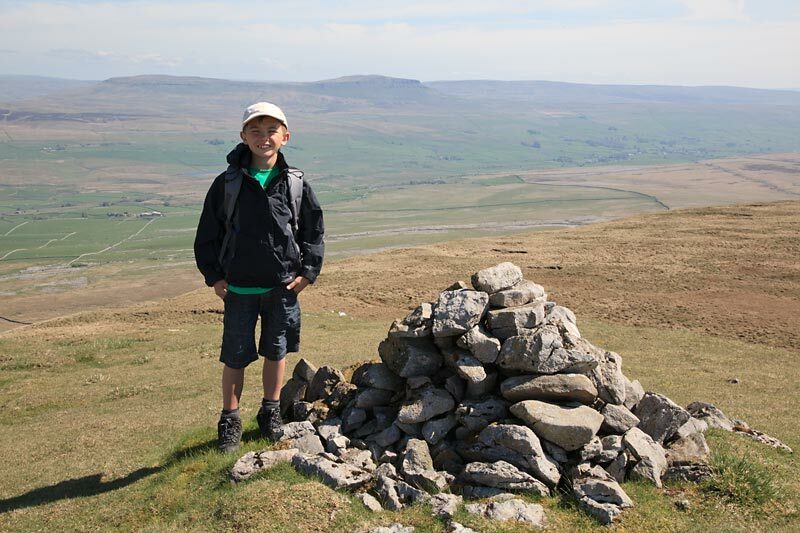 We head north along Clapdale Drive to Ingleborough Cave then up through the deep ravine of Trow Gill before commencing the steep climb to Ingleborough's summit. We now head N.E. 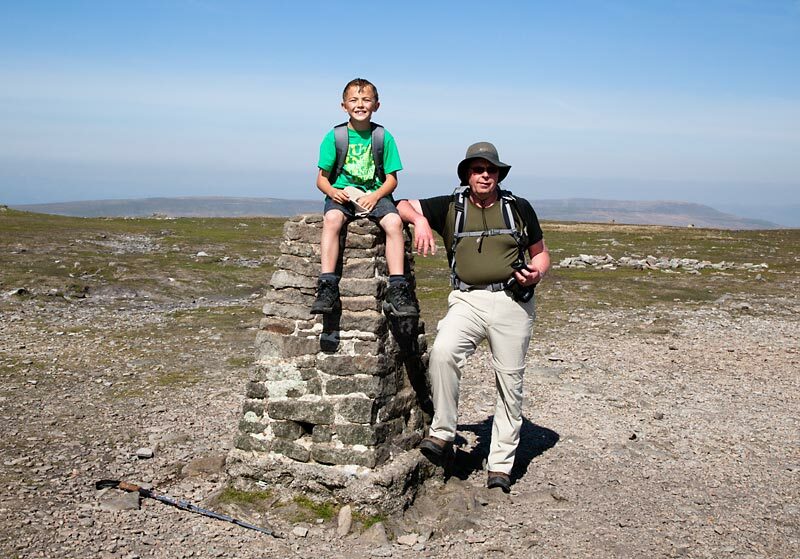 to Simons Fell and Lord's Seat before descending S.E. 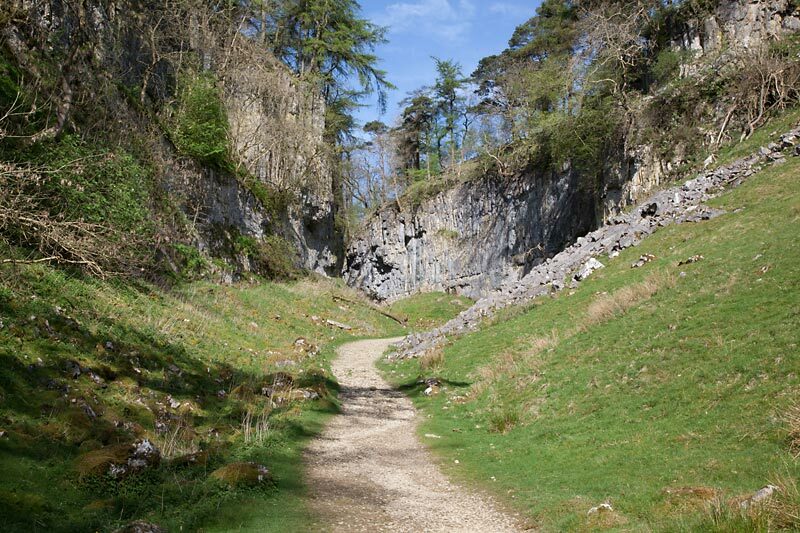 to cross the limestone pavements to reach Long Scar, finally we join Long Lane (Track) as it heads back to Clapham. 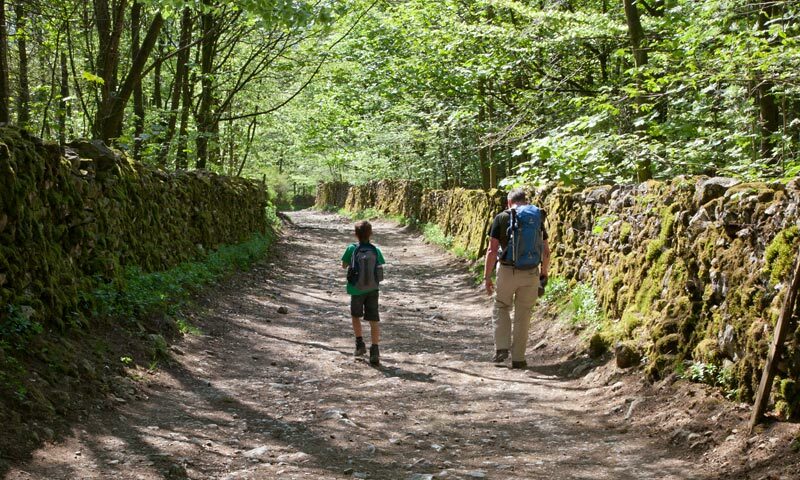 It was hard to believe we were still in April, the temperature was quickly soaring as we left the car park and started our walk up through the village. We pass through the entrance to the nature trail making our way up the zig zag path leading up to The Lake and out onto Clapdale Drive. The artificial lake was constructed by the Farrer family between 1828-32 to provide water and electricity for the village. 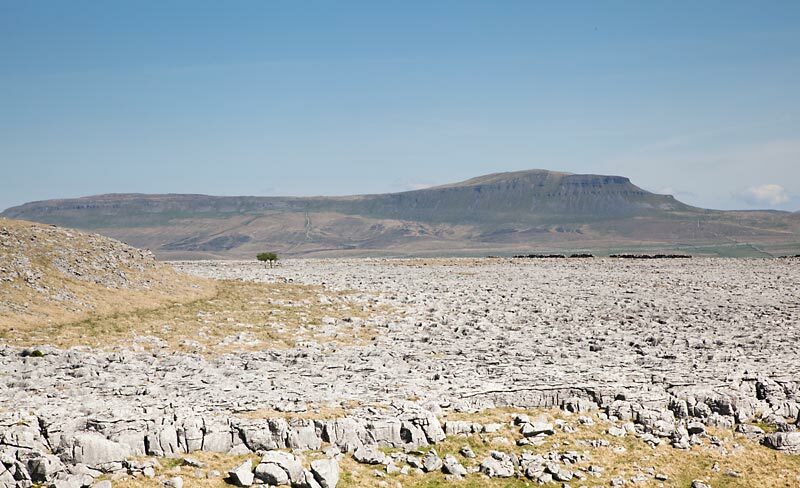 We follow the drive for a couple of kilometres until we reach Ingleborough Cave. Here Clapham Beck emerges from the cave. 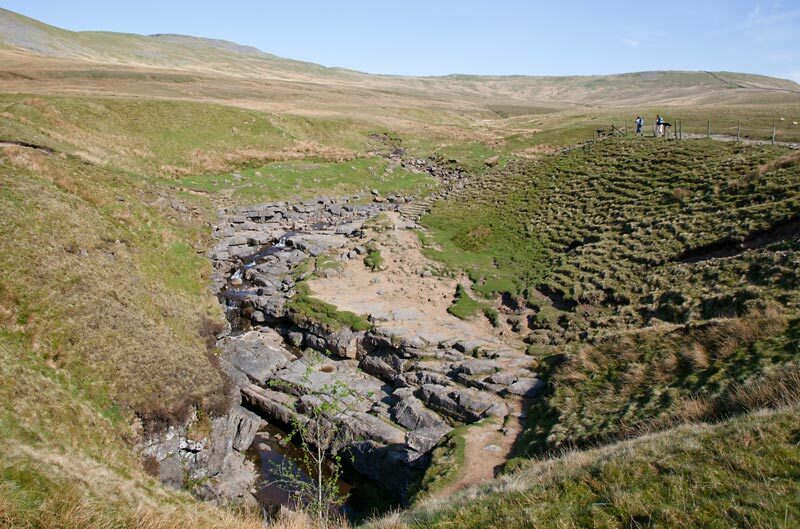 Originally starting its journey as Fell Beck on the slopes of Ingleborough some 3-4km the waters disappear into the subterranean depths of Gaping Gill pot plunging some 104m/341ft only to reappear here at Ingleborough Cave. 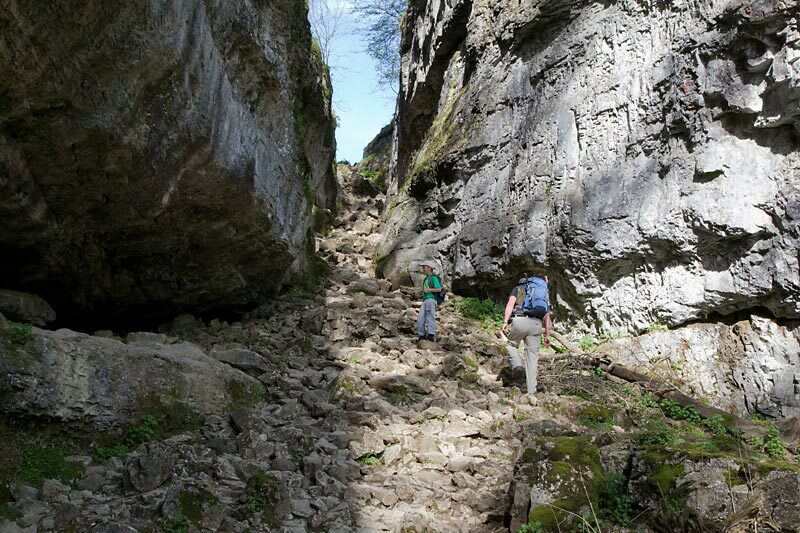 We press on and a little further along the track we arrive at Trow Gill. Some say formed by Glacial melt waters while others say formed by the collapse of a subterranean cavern. Either way it is quite an impressive sight! Tom and Paul take time to look around. 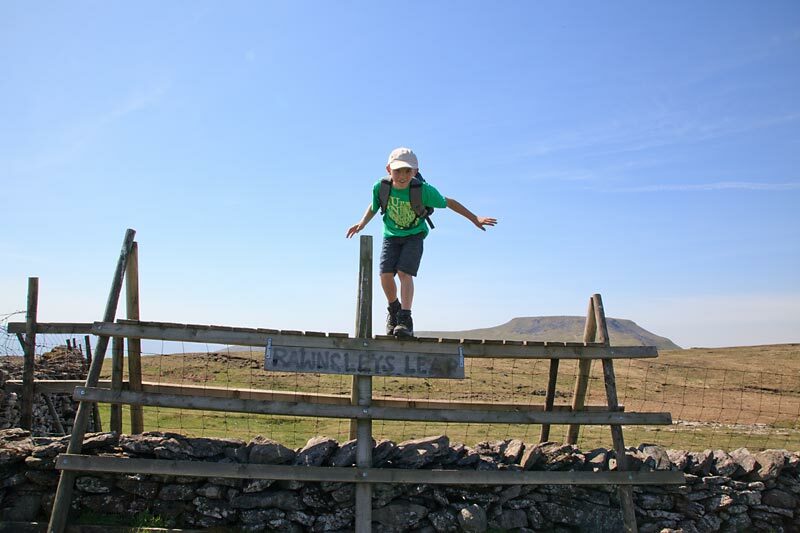 About a kilometre further on we cross a stile in the wall and emerge onto the open fell. 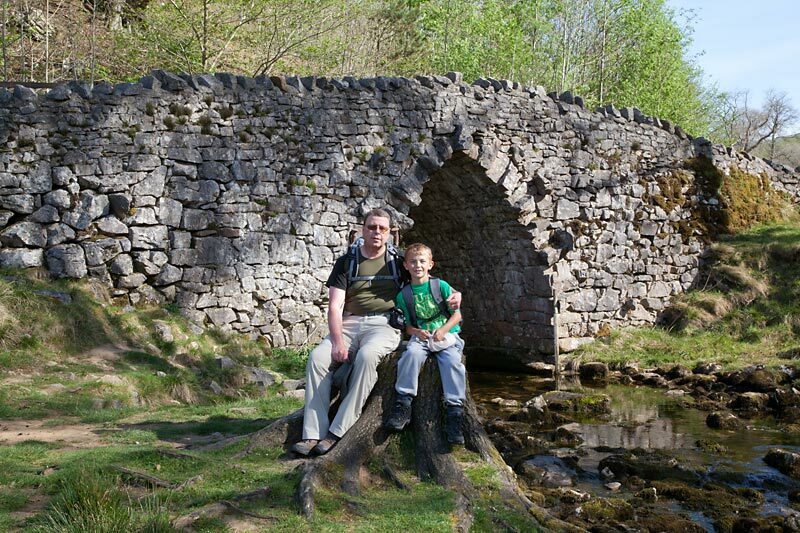 A short detour brings us to the point where Fell Beck falls 104m/341ft into the depths of Gaping Gill Pot. 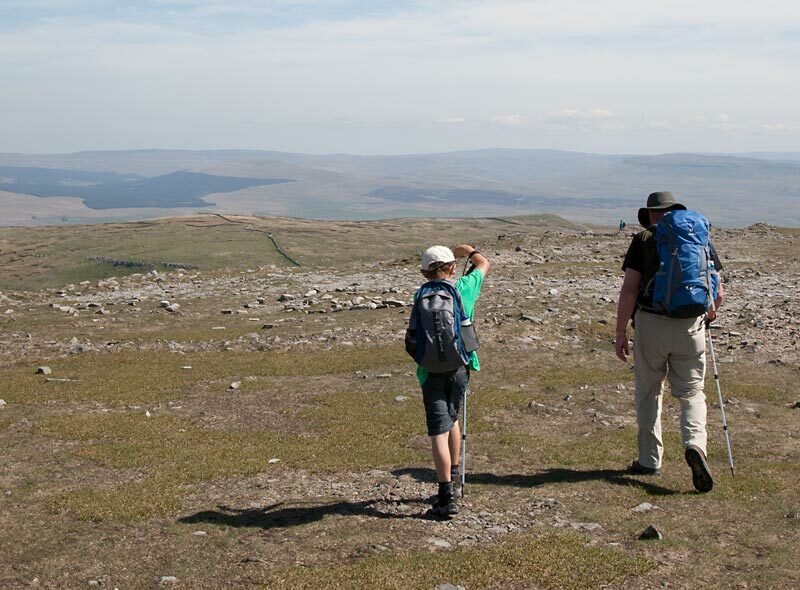 We walk around to have a look then cross the stream to regain the path climbing towards Ingleborough. The wall leading to Simon Fell can be seen in the distance, keeping to the right hand side of the wall we reach Simon Fell then head east to Lord's Seat, crossing Rawnsleys Leap in the process yet again. Descending now we pick up the track heading east past the old shooting hut, we cross a stream, pass through a gate then pick up a trail heading south through the limestone pavements towards Long Scar. Following the track around Long Scar we pass through a couple of Gates to reach Long Lane and a couple of kilometres later we turn right onto Thwaite Lane for the final leg of our walk back into Clapham. We have to pass through two tunnels just before arriving back at the village. 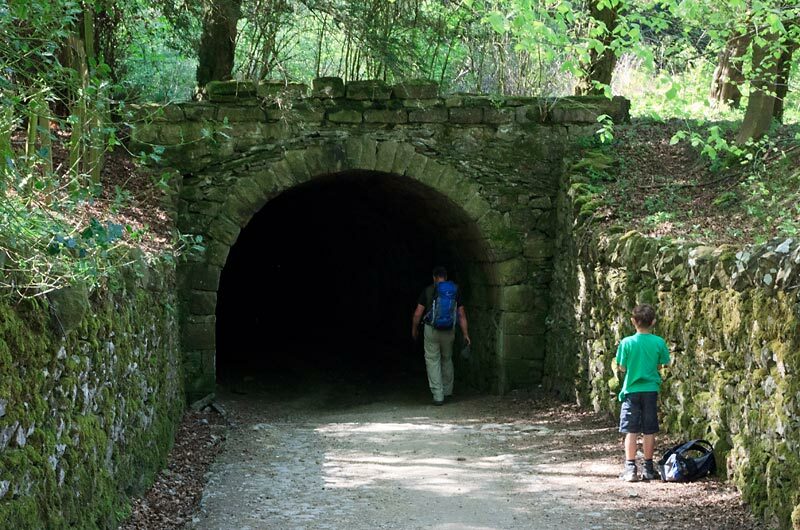 The tunnels were constructed by the Farrer family around the time that they dammed the valley and created the lake. The reason for the tunnels was to make the grounds of Ingleborough Hall more private. A great walk on a beautiful sunny day!